If you’re just getting started with your Wear OS (formerly Android Wear) smartwatch — be it the Moto 360 or another model — you could probably use a few suggestions for what to download. 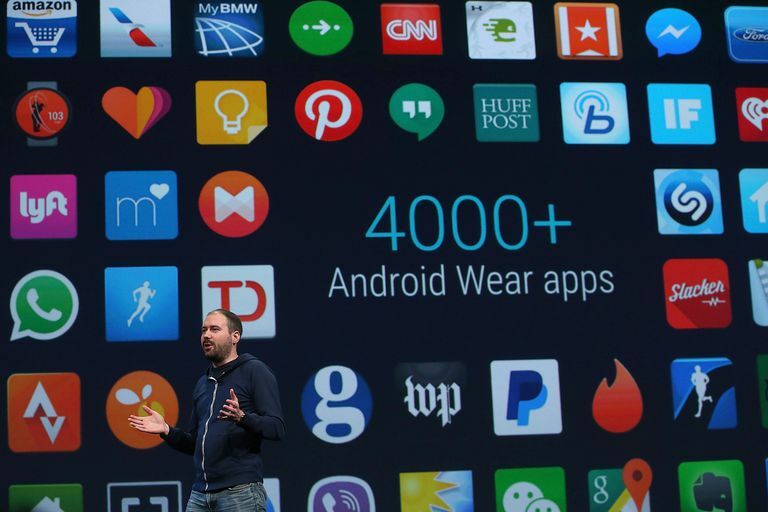 After all, a wearable is only as fun as what you can do with it, and that’s where apps come in. Read on for some of the best downloads across categories. For those who’ve purchased Philips’ LED lights, the Wear OS app provides an easy way to control them. You’ll be able to turn the multi-color display in your living room on or off with just a quick tap on your smartwatch. Chances are you’ve heard of Tinder, the incredibly popular dating app that lets you swipe right or left on potential prospects. With the app for Wear OS, you can view people’s profiles and enjoy the same swipe-left, swipe-right interface. This is a must-download for runners, bikers, and hikers, ​Runtastic tracks stats such as distance, duration, elevation, and calories burned, giving you an in-depth view of your workout progress. Download this sleep-tracking app to help optimize your wake-up time and view patterns to learn more about your snoozing habits. Sleep as Android tracks your sleep cycles to wake you up at the best moment, helping ensure your day starts off on the right foot. Strava includes some features you won't find on fellow workout app Runtastic, such as the ability to use voice control for starting and stopping your workouts. Like Runtastic, the app uses GPS to track your runs and rides. This free app lets you learn languages such as Spanish, French, German, Danish and Swedish. Unsurprisingly, the feature set is a bit pared down on the Wear OS app, but you’ll still be able to bone up with flash cards and the like. If you have a few minutes to kill on the go, this is a great way to pass the time. This incredibly popular note-taking app is at the top of “best app” lists across several platforms, so it’s no surprise that it earns a spot here. With the Evernote app for Wear OS, you can view notes, lists and memos on your watch and record voice notes that will be saved in the app. IFTTT lets you create “recipes” following the logic of “if this, then that.” Examples include setting a rule that saves a photo to Dropbox if you publish it on Instagram. With the app for Wear OS, you can create new rules directly from your wrist. Unlike some of the other apps mentioned in this article, this app was made completely for Wear OS. It gives you easy access to various phone settings, such as Bluetooth, WiFi, silent mode and volume adjustment. This means you can change settings without having to take your smartphone out of your pocket. Especially for new Wear OS owners, this app can make for a valuable download. Wear Store displays all the options that work with your smartwatch, taking the guesswork out of finding compatible apps. 2048 is a popular Android game, tasking you with combining tiles to come up with a sum of ... 2048. The Wear OS version brings the addictive gameplay to your wrist. Tetris fans will enjoy this Wear OS app, as it boasts the same concept: arranging blocks to correctly fill spaces without gaps. As always, it's much more fun than it sounds.